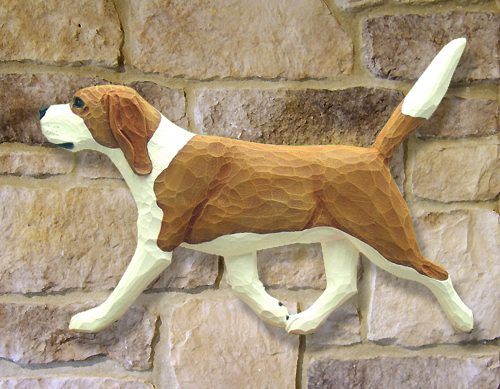 Beagle Dog Wall Art, hand carved in basswood by our master woodcarver. It is available in two sizes: 20" or 30". Slight variation on height dimension will depend upon breed. Made in the USA. Delivery Time:Please allow 4-6 weeks for delivery.